At 70, Lela Hartman believed we would one day use technology to prevent disasters like the Tri-State Tornado she witnessed as a small child. Are we getting any closer? 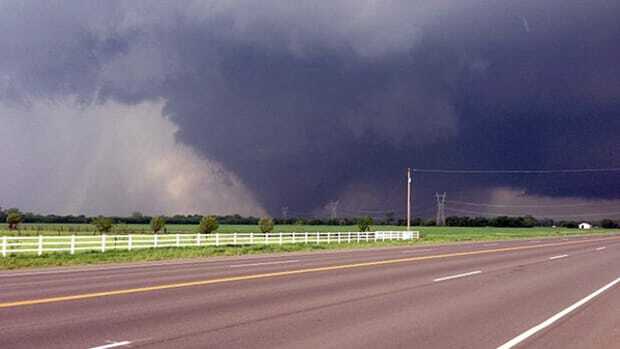 The ghoulish, ongoing tornado storm in the midwest comes a few days before the anniversary of the Joplin, Missouri, tornado disaster, which leveled 25 percent of the city and killed nearly 200 people on May 22, 2011. 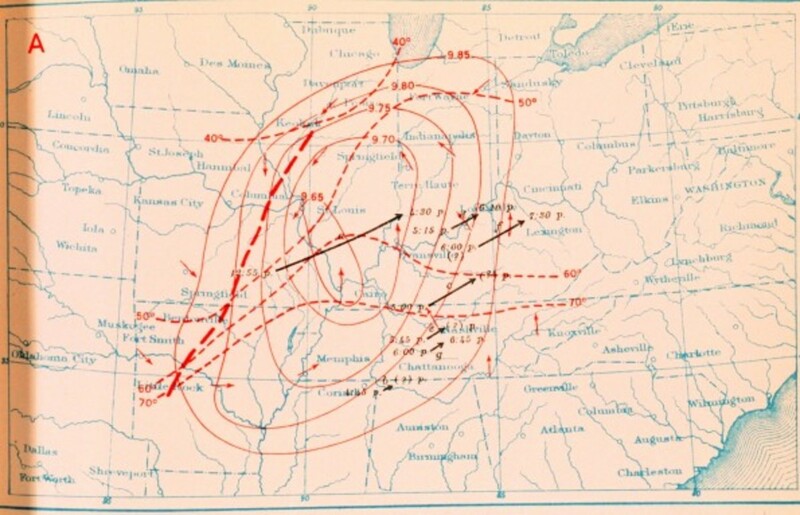 However, memories can prove short—even for events like Joplin and this week&apos;s mile-wide twisters. 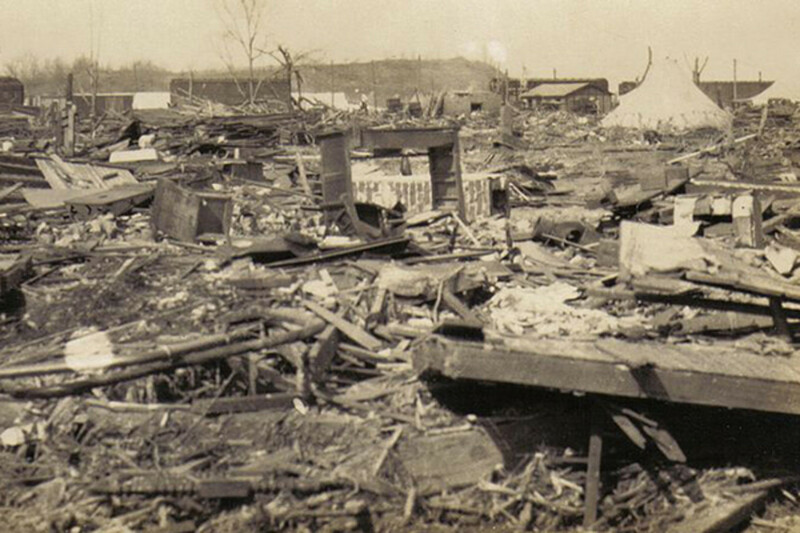 In 1925, the worst tornado disaster in history hit the upper Midwest. The Tri-State Tornado still holds records for spending the longest time on the ground, where it left a swath 219 miles long. It killed nearly 700 people. "You know, I can’t remember that it lightninged and thundered, but it’s bound to have. All I remember is how dark it kept gettin’, and the wind, you know?" Few survivors of the Tri-State disaster remain—a teenager during the event would be 100 years old today. But just before Christmas, 1999, an official from the National Weather Service office in Paducah, Kentucky, interviewed his grandmother, who had been four years old at the time and visiting her own grandmother at a family farm in Indiana when the storm hit. Lela Hartman&apos;s take on the storm is colored by a long-ago memory of an event witnessed by a small child. 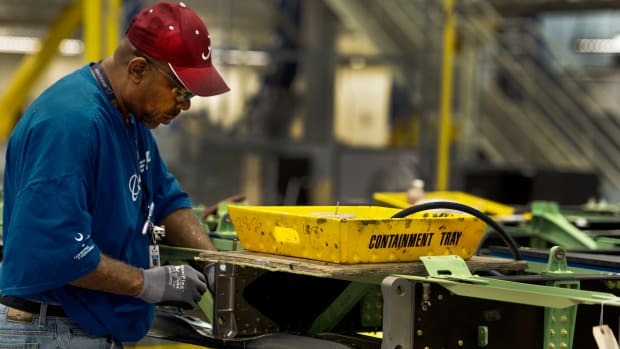 But her belief at the time—she would have been about 70 when the interview was conducted—that technology would solve the tornado problem is telling. Last April, numerous reports noted a study in Iowa that found survivors of twisters tended to be more optimistic afterward. The investigators chalked this up to either of two common reactions. One was a belief in a coin-flip fallacy: that if a statistically improbable event like a direct tornado strike happened, it would have lower odds of happening again. Nature had taken its best shot and missed, and that was that, goes this belief. The other belief was that getting through a tornado represented a test of resourcefulness and correct disaster response by each person who had made it to shelter. Having passed one trial by fire (or wind, in this case) the person would be well-equipped to survive any future events. HARTMAN: I think it’s great. I—I’m amazed that people are that smart, puttin’ up with all this, you know? [Of] course, that’s in everything. It’s not just in weather. We have got smart people ... on this Earth, and they’ve brought us a long way in medicine and weather and.... It’s too bad that we don’t have a turnkey where, when we see somethin’ like this happenin’, we can just shut it off, you know? Maybe one of these days, somebody will come up with one. PRESLEY: That’s true, and that would be very interesting wouldn’t it? HARTMAN: Yeah. Where you could turn the winds in another direction, or calm ‘em down, or something. PRESLEY: But there’s a lot to be said for research and development when it comes to that. HARTMAN: Oh yeah. They’ve gone a long way. HARTMAN: But they’ve gone a long way. ... ‘Cause they didn’t have that kinda thing ... back when this—well, I still want to call it a cyclone, but I guess I’ll call it a tornado—happened. We didn’t have—you were your weather forecaster. You watched the sky. PRESLEY: This one was kind of ... interesting, though, because it actually caught a lot of even farmers by surprise because it was so unusual. HARTMAN: Well, it was. ... It was such a pretty day that day. ... And for March, that was a little bit unusual in itself. But then, after noon, when it began to turn dark and.... You know, I can’t remember that it lightninged and thundered, but it’s bound to have. All I remember is how dark it kept gettin’, and the wind, you know? And, and I, even I, then was scared. I wanted to go to the cellar. But there wasn’t a one of us would go until Grandma would go. And she wasn’t about to go. But she finally, she finally did. I think she finally decided that something was about to give. PRESLEY: She’d better take shelter. 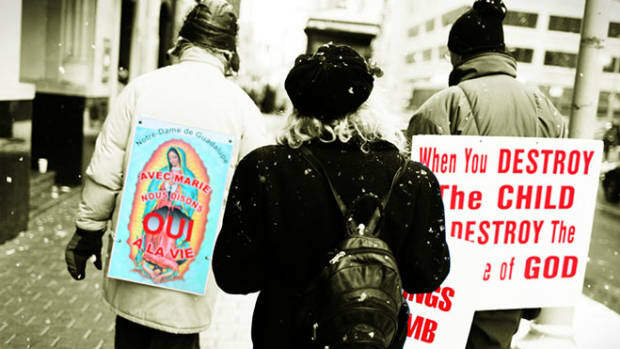 HARTMAN: She’d better go. Yes. PRESLEY: Well, is there anything else that you’d like to add? HARTMAN: Well, not really. Just that I hope we don’t ever have another one. PRESLEY: Aw, I hope not, but it’s inevitable. Someday we will. HARTMAN: Well probably. But with all the technology that you guys have, maybe it won’t, you know? Maybe there’ll be something that you’ll have control. You know? The rest of the conversation is at the Paducah station&apos;s 1925 memorial page, here. In a case of art predicting life, a novel about the Tri-State disaster, Kate Southwood&apos;s Falling to Earth, appeared last month to positive reviews. Political news around tornadoes is less encouraging. In February, the U.S. Department of Commerce, which overseas the weather service, told the Senate Appropriations committee that mandated sequester budget cuts could delay the launch of a new weather satellite, the GOES-R, by two to three years. Once aloft, the spacecraft is designed to provide data for the nation&apos;s severe weather warning system, among other functions. Do (Cheap) Mid-Century Schoolhouses Worsen Disasters Like the Moore Tornado? At least seven children died in Oklahoma this past week when two elementary schools were destroyed. Is shoddy construction to blame? A conversation with penguin expert Grant Ballard on the short-term wins and long-term losses facing one of the world's most charismatic animals. 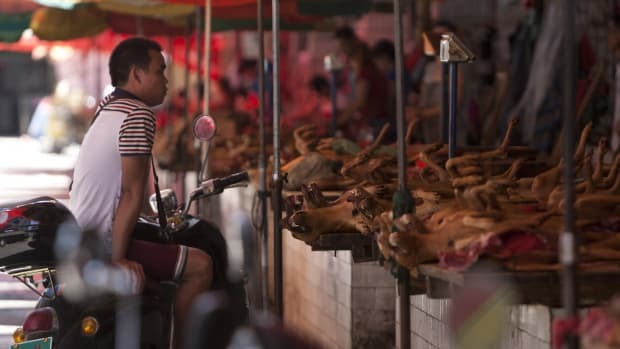 Are we any closer to thinking clearly about dog meat?